Barber spoke to euractiv.pl’s Editor-in-Chief Karolina Zbytniewska. A wave of populism is sweeping over the Western world. We cannot get caught up in reading an era by just one week or a month. Because would you call Trump’s Administration successful by now? No, it’s a disaster. Would you call Geert Wilders successful in the Dutch mid-March elections? No, he lost. 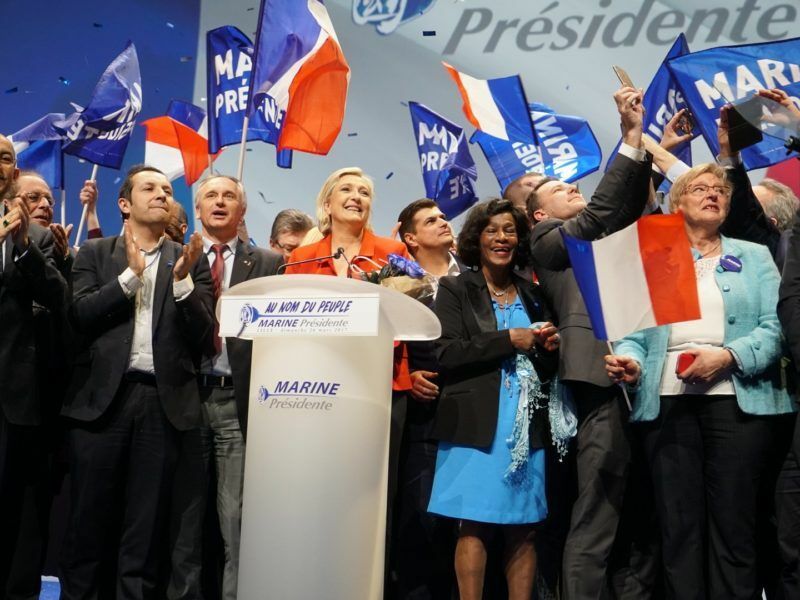 Would you call Marine Le Pen’s presidential campaign successful? No, as we see in opinion polls, she is losing. Also when Brexit happened, everyone perceived it as an end of the European Union, but today we see it’s nothing like that — the EU is getting itself together. And so we must learn to interpret reality in a historical perspective, not week by week. Opinion polls demonstrate the shift in people’s thinking illustrating that the attraction of populism has diminished — America is a testing ground for populist impact. While Trump is simply not delivering, the populist attraction diminishes accordingly. Right-wing populists lost in Austria, but with 46.2% of the vote. They lost in the Netherlands but came in second place. They are set to lose in France – but with 25% for Marine Le Pen in the first round and an estimated 40% in the second. Where does their strength come from? People are sick of the elites who manipulate them into thinking that rejection will somehow ease their problems. The policy of placing blame has always been easy and effective. So populism had a strong position in Western politics but now it is a moment when people realise what it is all about — a great disappointment. They look around and see Trump, Brexit; they see Hungary and Poland, where democracy heads in disastrously wrong directions. So they start to understand that it is a protest vote, not a constructive vote. Hungary launched an initiative called “Let’s stop Brussels” shortly after its prime minister returned from the Rome summit. 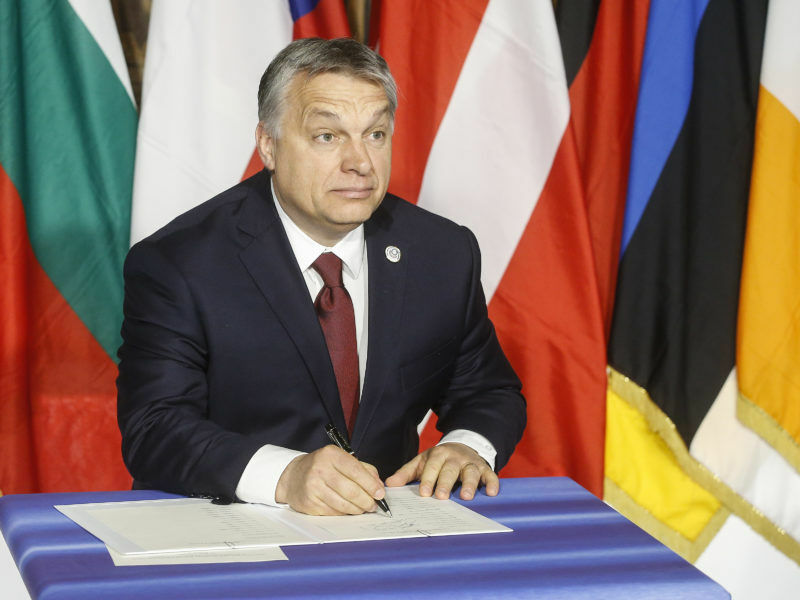 Asked about it today (4 April), the Commission highlighted the fact that Viktor Orbán had signed the strongly pro-European text only days before. The fundamental feature of populism is its rejection of the establishment. Why is this attitude so compelling? But this attack was committed by an Englishman, born in the UK. No walls or bans would make any difference. And none of the attacks in the US have been committed by a person born in any of the seven countries that Trump’s ban is aimed against. What he is saying is a living lie soaked with hate and resentment. This is an easy way, easier than acceptance and integration. Why do voters choose liars? We live in an interdependent world, where everyone can cross borders easily. But it’s easier to hate Muslims in reactionist nationalism than to admit the reality. Trump voters are simply lazy and stupid – and they will also be the ones to pay for their choice. His voters don’t come from the educated intelligentsia in New York or California. They are poor people from Delaware and Virginia who wanted to believe Trump’s promise that he will bring back their jobs in the coal industry. But no jobs will ever come back in the coal industry, as there’s no coal industry anymore! If we want populist voters not to repeat their choices, instead of insulting them by calling them stupid, it’s better to empathise and look for what informs their irrational behaviour. You are right with empathy but first, we need those idiots out of office – this president, who has no capacity to govern and has failed in every single issue he has promised. Empathy yes, but how do we bring back the health care and jobs? Trump will be stopped by the courts and by Republicans. But I cannot stand that this politics of hate, stupidity and buffoonery makes America a laughing stock of the whole world. He has been a total failure, has achieved nothing also by his own measures. And he will not win again — never. I actually think he might be impeached because of his links to Russia. I wouldn’t be that optimistic about voters learning from their own mistakes. Polish voters blocked the Law and Justice party in 2007 elections, after two years of disappointment. But they overwhelmingly chose it again in the 2015 elections. They don’t care for facts until facts affect them. When in a year there will be no jobs in the coal mine and they will still be unemployed, they will change their minds. Trump is just a talker pretending he will fix everything but doing nothing. And Vladimir Putin likes Trump for exactly this inability to do anything, also anything that would stop Russia on its way towards power and influence. Still, it seems that a great many people need to feel the effects of populism to believe it’s a dead-end road. But the centrist majority still rules. Everything is just fine until they don’t take over the power. And if they do they will quickly lose it. So we shouldn’t exaggerate the problem. Is populism more of a bottom-up tendency that influences politicians or rather a top-down phenomenon where irresponsible politicians manipulate people’s frustrations? It’s the second. People have very real frustrations. They don’t understand why so many “other” people are let in and granted special privileges. This frustration is easily channelled into anger against legitimate immigration. Their fear is deliberately manipulated by nasty politicians who use hatred as a major support-building tool. We have already established they don’t really want the power as it’s probably too boring and mundane. So what do populists really want? They want people to be angry, to be against, to oppose interdependence, the trade, to say no to the 21st century. Because they are small, narrow-minded people who don’t want to live the reality. They are like the Germans in the 1930s when they didn’t want to live beside Jews and Gypsies. Today’s right-wing populists don’t want to accept the world as it is – open and borderless. And that those who don’t accept this reality will stay behind, and even if they win somewhere, they will lose afterwards. Why is this interdependence so scary? Everything moves around and without permission. Borders don’t matter. Setting up borders back cannot work. It’s like battling against reality. Like Luddites in the past who were saying that machines were wrong. But machines turned out to be a basis of the Industrial Revolution. And to control interdependence we need to accept its existence first. We need to make interdependence fair – good for the people, not just for money. Because failing to regulate our reality is failing the people. We saw it with the 2007/8 crisis. This is what happens when we don’t make banks and corporations serve us. To control effectively we need to regulate. And this is what democracy is all about – regulating the world we live in to make it fair for the people. Populist withdrawal from reality leads nowhere. 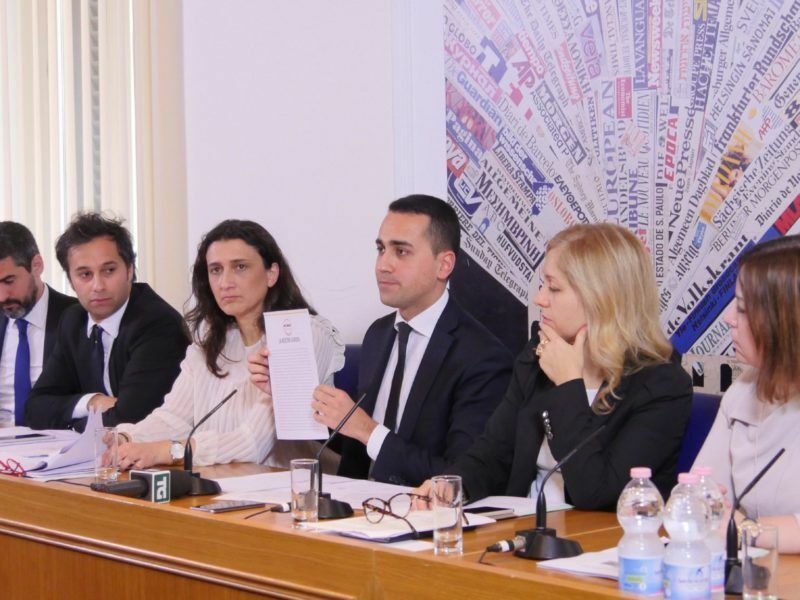 The anti-establishment Five Star Movement, Italy’s most popular political party, said yesterday (23 March) a referendum on the euro was not its top priority and that it hoped Europe would reform before a ballot could be arranged. 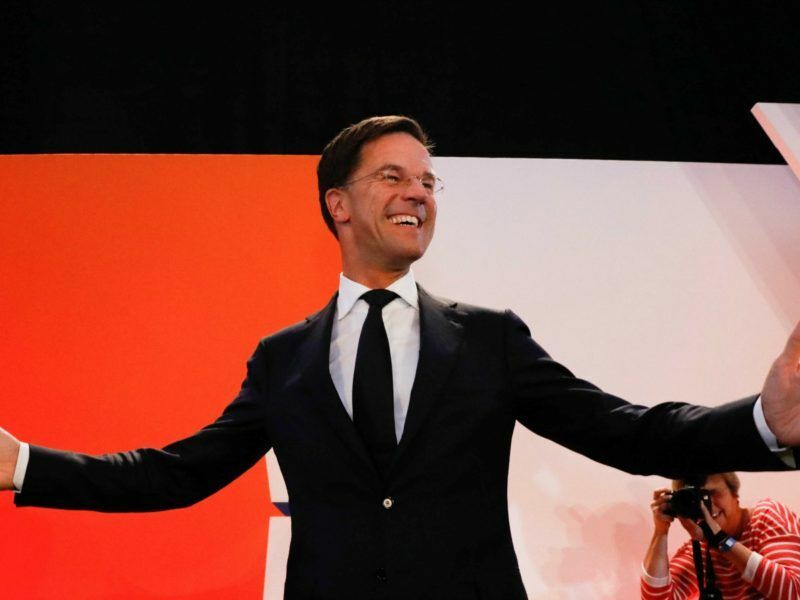 Wilders improves his vote – and this is called a great defeat. Funny. 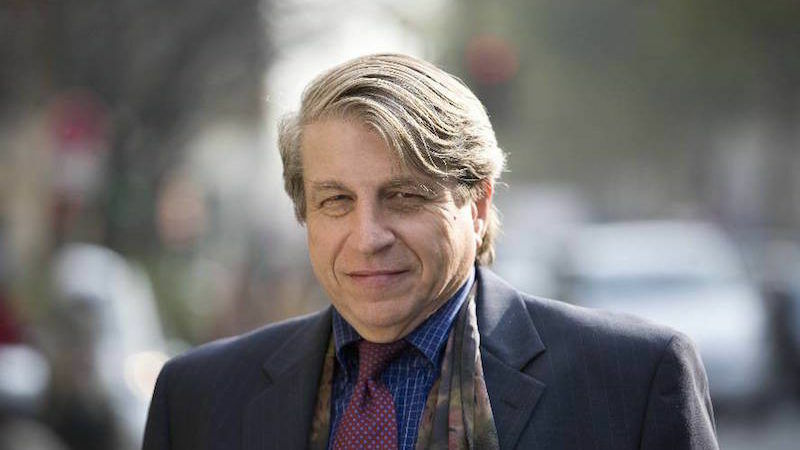 London attack by an Englishman – well, not exactly English. Poland rejects democracy – but in so doing introduces plurality into its major media for the first time since before the Second World War. So many half-truths in here make such a compelling but false narrative of why we the people should democratically agree to rule by oligarchy. to have an opinion on Islam (which by default has to be neutral or positive). about or because they are lacking an instinct of self preservation. the only reality that Barber has to admit to. minded economic reasons or because they are somehow morally deficient. Wake up people. People like Barber do not have your best interest at heart.